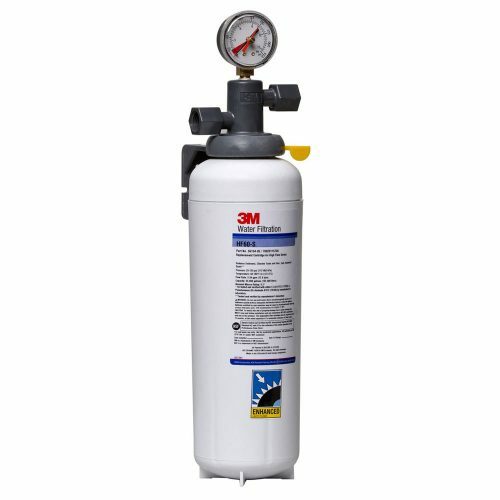 3M™ Purification Inc. Water Filtration Products Model BEV190 single cartridge water filtration system helps to improve the taste, appearance and consistency of your beverages at flow rates up to 5 gpm (18.9 lpm). 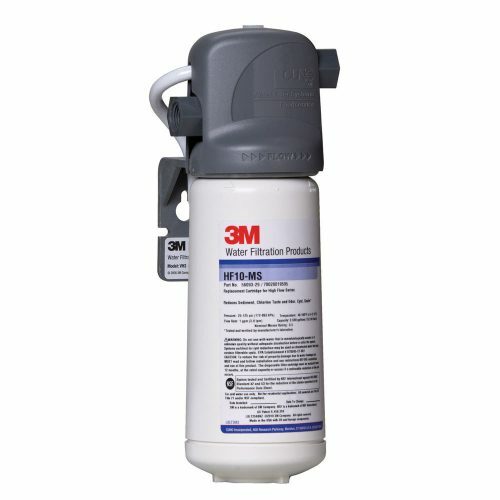 BEV190 combines cyst and bacteria reduction with sediment and chlorine taste and odor reduction for up to 54,000 gallons (204,412 liters). Consistent high-quality, great tasting beverages for continued customer satisfaction. Revolutionary Integrated Membrane Pre-Activated Carbon Technology (“IMPACT”) dual-zone media cartridge construction combines a membrane in series with premium activated carbon to provide superior throughput and cartridge life. Built-in bacteria inhibitor intended to reduce fouling of media (HF90 replacement cartridge). Tested and verified by manufacturer’s laboratory to Standard 53 for cyst reduction (HF90 replacement cartridge). NSF Standard 42 and/or FDA CFR-21 compliant materials. 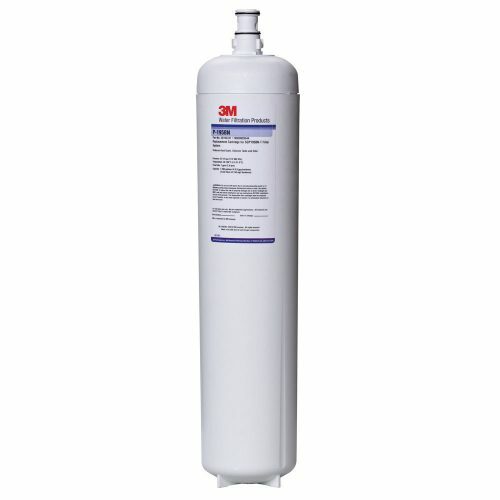 Reduction of up to 99.99% of common water-borne heterotrophic bacteria by membrane filtration as tested by 3M Purification (HF90 replacement cartridge). Reduction of sediment and abrasive hard particles helps prevent equipment wear and helps extend the life of pumps, valves, o-rings and seals. Sanitary Quick Change (SQC) encapsulated cartridge design allows for fast and easy cartridge change-outs with a 1/4 turn. 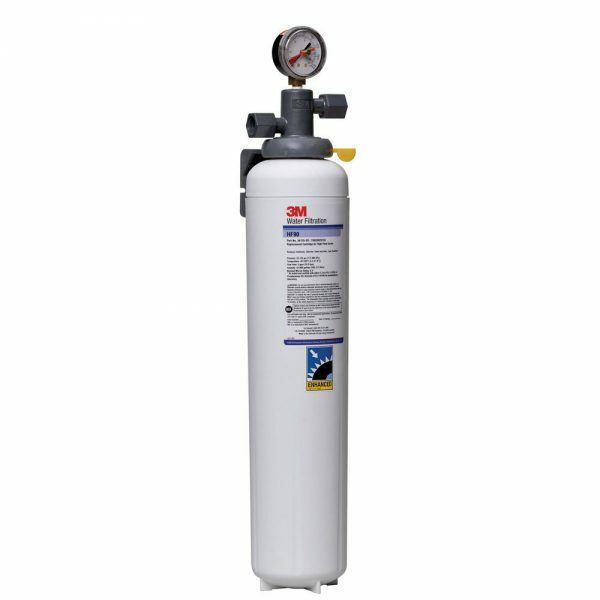 System includes a head assembly with pressure gauge, inlet water shut-off valve assembly, mounting bracket and a single cartridge filter. Inlet and outlet plumbing connections are 1/2” FNPT. System maximum operating pressure of 125 psi (862 kPa) and operating temperature of 100°F (37.8°C). Recommended service flow rate is up to 5 gpm (18.9 lpm). 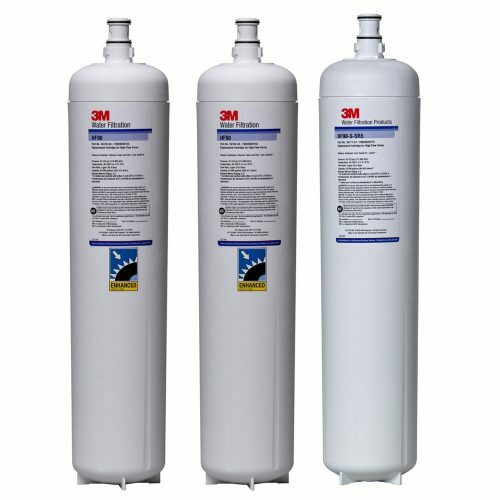 Filter cartridges incorporate a bacteriostatic carbon block filtration medium (HF90 replacement cartridge). System materials are NSF Standard 42 and/or FDA CFR-21 compliant. Cartridges are sanitary in design, requiring no contact with the filter media during cartridge change-out. Filter cartridges require no pre-activation.